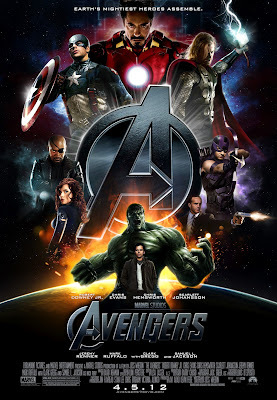 The Avengers is a 2012 American superhero film produced by Marvel Studios and distributed by Walt Disney Pictures, based on the Marvel Comics superhero team of the same name. It is the sixth installment in the Marvel Cinematic Universe. The superhero smorgasbord featuring Captain America, Iron Man, Thor and The Hulk brought in $200.3 million its opening weekend in 4,300 U.S. theaters, smashing the previous domestic record for any movie's first three days, Walt Disney Studios said Sunday in a news release.